Would you like to support community-based projects devoted to reconciliation and healing of Canada’s past treatment of First Nations peoples? The Earth Caravan is a global intercultural pilgrimage who’s mission is to help alleviate suffering and share peace, happiness, and healing in the world through words, art, music, and Tao Shiatsu therapy. First Nation’s communities in Québec continue to endure inter-generational trauma as a result of residential schools in the mid-twentieth century. This unaddressed and neglected situation has resulted in a myriad of negative social, emotional and psychological effects, which continue to hamper the positive development of the community as a whole. 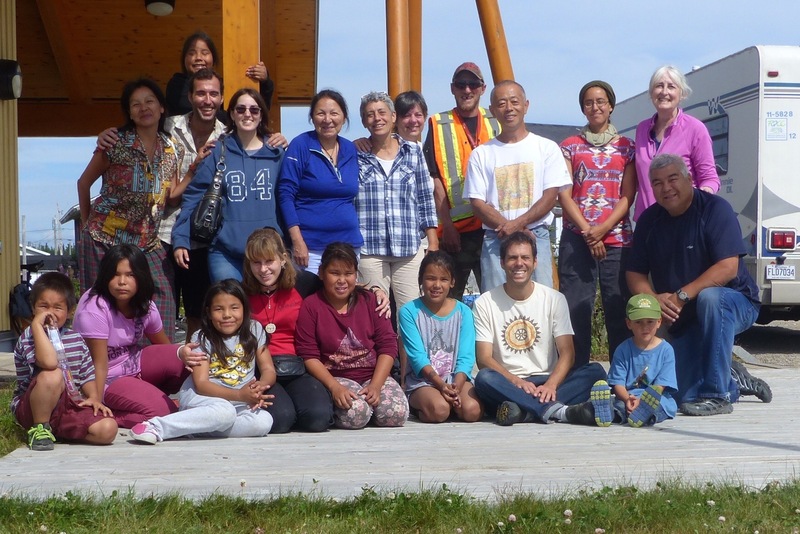 In August 2016, the Earth Caravan travelled to northern Quebec to visit the Innu communities of Mingan and Natasquan. Fifteen therapists and volunteers self-funded the eight-day, three thousand kilometre voyage. During its time in Mingan and Natasaquan, the Earth Caravan provided Tao Shiatsu therapy to over 110 people, representing 10% of the community, many of whom had chronic physical or psychological pain. 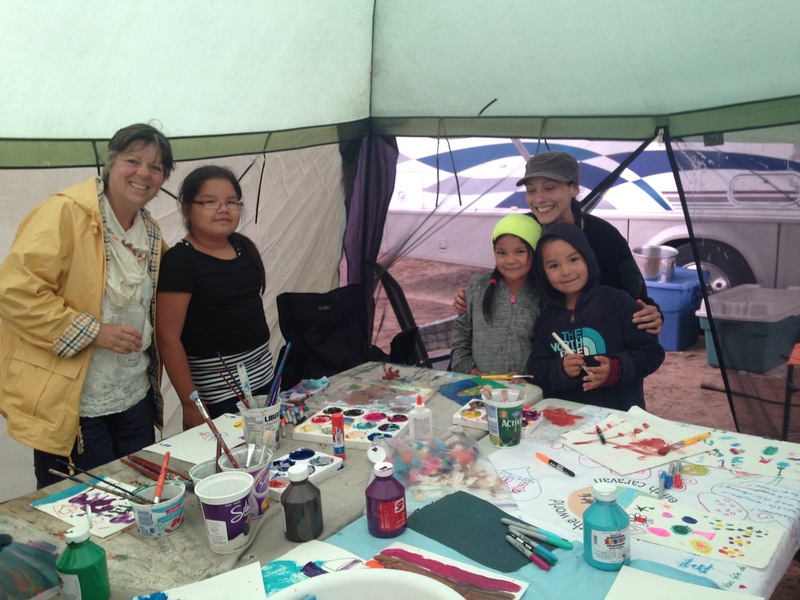 In addition, the Earth Caravan offered mindfulness workshops centred around sharing and positive thinking to parents, grandparents, and children, to help them heal from the effects of trauma. Deep listening circles were organized to bear witness to every individual’s pain. The communities welcomed the Caravan with open arms and housed our volunteers at their cultural centre and at revered private sites used for traditional gatherings. Children in both Mingan and Natasquan collaborated in the Earth Caravan’s ongoing global art project entitled “Wish for the World,” in which they expressed their wishes for the planet through joint collages, paintings, drawings, and words. Earth Caravan Quebec needs your help in order to be able to return to Mingan and Natasquan in August 2017. Organizers and participants of Earth Caravan Quebec 2016 contributed to the majority of the project’s overall budget. All programs and therapies provided to the Innu community were warm-heartedly donated by volunteers. The entirety of your donation will be used to enable the Caravan to continue its mission and improve the lives of Quebec’s Innu communities. The Earth Caravan has no staff to pay and no administrative expenses.